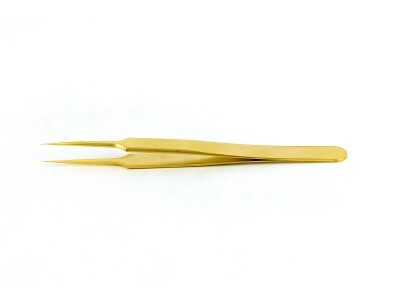 Ideal-tek 24-carat gold plated tweezers are perfect to work with scratch-sensitive items and nickel grids in immuno-gold environment. 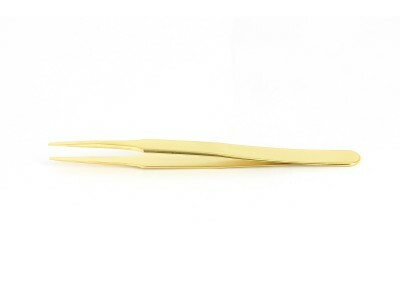 Finely-crafted from anti-acid non-magnetic stainless steel, high precision tweezers are plated with 2 microns of pure 24-carat gold: the coating improves resistance to chemical corrosion, oxidation and electrical conductivity. 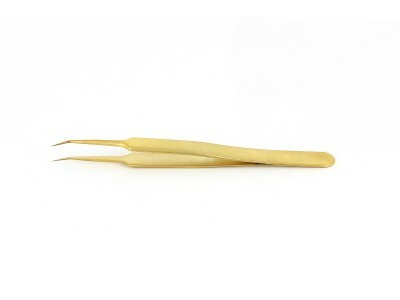 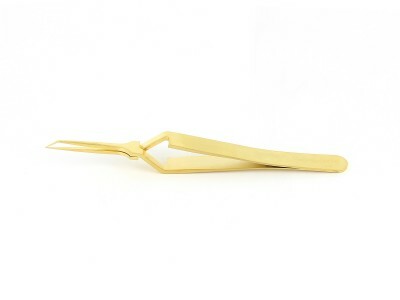 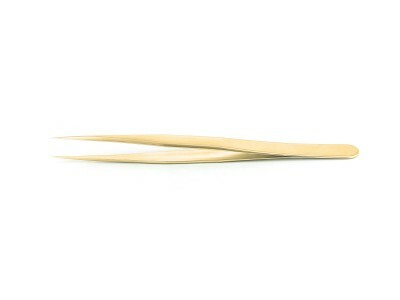 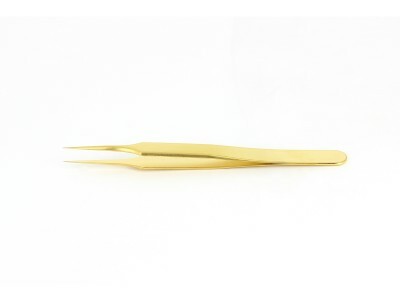 Non-magnetisable (80%) gold plated tweezers can withstand high volume in autoclaving, and are generally used where corrosion resistance and toughness are primary requirements. 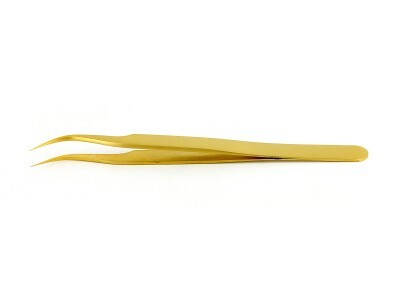 Typical applications include microelectronics, TEM staining, immunogold work, electro-chemistry and nanotechnology work for electronic industry.